Contractors can apply for up to a 95% mortgage on any property type with the support of Help to Buy phase 2, the Mortgage Guarantee Scheme. The scheme, which is available now, provides mortgage lenders with a government guarantee to cover part of the loan in the event that a borrower defaults. All a contractor requires is a 5% cash deposit and to satisfy the requirements of a regular mortgage application to their lender. The lender applies to the scheme, not the contractor. Contractor-friendly mortgage lender the Halifax was the first to join the scheme. It already offers a contractor-style mortgage, which is based on a multiple of the annualised contract value, enabling contractors to potentially apply for a 95% mortgage at competitive rates. This scheme has helped many contractors to get started on or move up the housing ladder much sooner than they would if they had still needed to save up a 10% cash deposit, plus any additional purchasing costs such as stamp duty. The Mortgage Guarantee Scheme was launched in October 2013 and is phase 2 of the Help to Buy scheme introduced by the government in April 2013. The Mortgage Guarantee Scheme requires much less paperwork than phase 1, and can be used for any type of property. Phase 1 could only be used for new build properties and the contractor had to make a separate application to the Homes and Communities Agency (HCA). Phase 2 has no such requirements. Must not own any buy-to-lets or intend to keep their current home after the new mortgage completes. Phase 2 also considers the same range of criteria as Phase 1, which considers whether a contractor actually needs the scheme’s support as well as evaluating general criteria such as affordability. However, it is the lender and not the HCA which conducts the evaluation. Contractors will be required to pass all the credit checks that a lender would normally carry out. This means contractors are unlikely to qualify with anything less than a good or excellent credit rating. Another key feature of the Mortgage Guarantee Scheme is that the government will not have an interest in the property, so unlike phase 1 the contractor does not have to make a repayment to the government in the future when the property is sold. The lender minimises its risk of accepting a 5% deposit by applying to the government for a guarantee to cover the remaining 15% in the event that the borrower defaults. The process does not involve the contractor. More importantly, no money actually changes hands. Under the terms of phase 1, the government lends the contractor a 20% deposit, and requires a repayment equal to 20% of the value of the property after twenty five years or when the property is sold. When house prices are on the rise, this could mean the contractor is faced with paying back a significantly higher sum than was originally borrowed. Under phase 2, the government is providing a guarantee to the lender and pays out only if the contractor can no longer afford their mortgage and the property is repossessed then sold at less than the outstanding mortgage balance. As long as the contractor maintains their repayments, the scheme is never triggered. 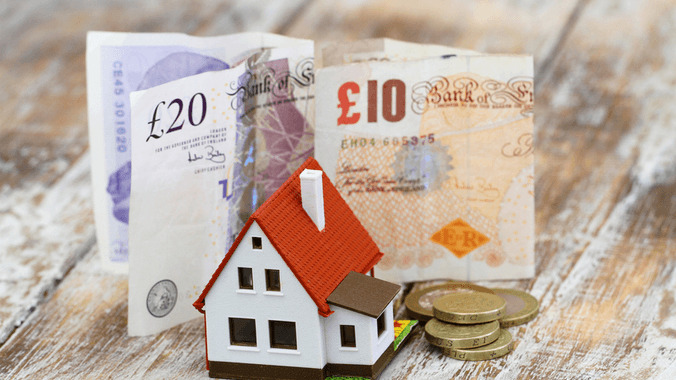 The other advantage of the scheme is that, because the lender’s risk is mitigated to 80% of the purchase price rather than 95% if the scheme were not in place, lenders are likely to offer contractors more advantageous interest rates.